Gum disease is one of the leading causes behind tooth loss in adults, and many don’t even realize they have it until it’s too late. To stop gum disease in its tracks, the dentists at The Diablo Dental Group in Danville, California, offer a number of treatments that can restore your gum health and prevent the damage from worsening. Call or book an appointment online today to learn more about your gum disease treatment options. Also known as periodontal disease, gum disease begins with bacterial growth in your mouth that builds up and destroys the gum tissue that holds your teeth into place, often leading to decay and tooth loss. Unfortunately, while gum disease affects close to 75 percent of adults to some degree, it is often mistaken for less serious conditions, like gingivitis — plaque buildup in the gums that causes gum inflammation. Unlike gingivitis, gum disease cannot be treated with professional cleanings or better oral health practices. Smoking cigarettes prevents your gum tissue from repairing itself properly, leading to a buildup of plaque in the mouth. Your gums are more sensitive and susceptible to gingivitis and gum disease during menstruation, pregnancy, and menopause. The anticonvulsant drug Dilantin and the anti-angina medications Procardia and Adalat have been known to stifle the flow of saliva, which causes a buildup of plaque in the mouth. Any illness that affects your body’s immune system, such as cancer, chronic autoimmune diseases, or HIV, puts you at a higher risk of developing oral infections. Supportive periodontal therapy is a cleaning procedure that completely eliminates excess plaque deposits that cause gum tissue inflammation. Depending on the severity of your case, your dentist may recommend local anesthesia. First, your dentist will remove plaque buildup above the gum line with scaling tools. Next, they will tackle any pockets of plaque you have hiding below the gum line. This ultra-deep cleaning can help give your gums a clean slate. For more severe cases of periodontal disease, The Diablo Dental Group has invested in a diode laser that vaporizes bacteria and removes diseased tissue selectively to remove bacteria without damaging your surrounding gum tissue. This targeted procedure allows the gum to heal and reattach to the bone or tooth surface naturally. Laser-assisted scaling and root planing works to treat gum recession and disease and also cleans the roots of your teeth. Gum disease is a serious condition that may worsen heart disease or diabetes if left untreated. 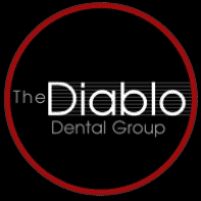 To learn more about your treatment options, call The Diablo Dental Group or book an appointment online today.